Its virtually impossible to surprise someone with a 250 pound machine. We have the answer. 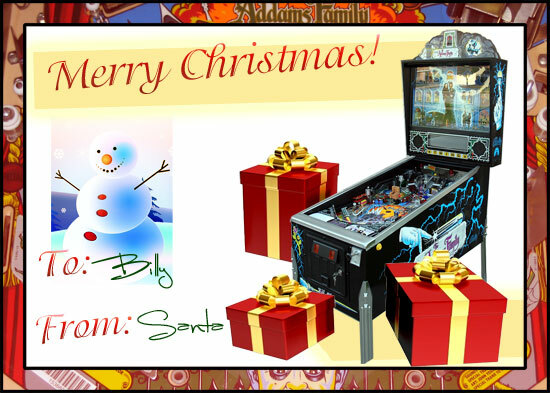 Monkeys Arcades creates a personal file for you to wrap-up and make your gift a true surprise for everyone. If you are a late shopper or if your item is delayed by circumstances beyond our control this is the perfect solution. Call and ask us to create a personal message for your gift. We will email a full color document for you to print and wrap.